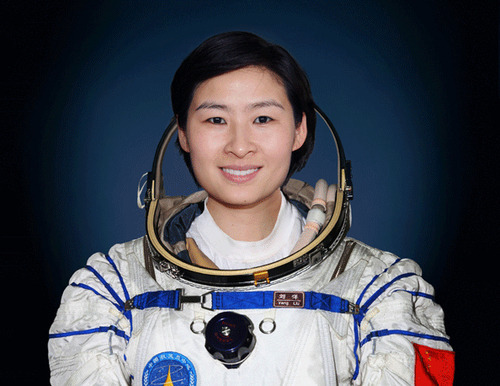 Liu Yang (刘洋): Female Chinese astronaut selected for the Shenzhou 9 mission. The China Manned Space Engineering Office (CMSEO) announced its next human spaceflight mission would be launched in mid-June. The first launch window is coming up this weekend on Saturday at 18:37 BST. Weather reports from the launch site in Jiuquan look favorable. The primary objective is to conduct another test of the docking mechanism China will use to eventually construct and operate a space station, planned to be completed in the early 2020s. The first test of the docking mechanism was conducted remotely, without astronauts aboard, during the Shenzhou 8 mission in November 2011. The non-piloted Shenzhou space capsule China developed to transport people into space docked with an eight-ton experimental space laboratory named Tiangong 1. The laboratory has a lifespan of 2-3 years and was launched in September 2011. During the upcoming test, a crew of Chinese astronauts, not mission controllers on the ground, will conduct the docking maneuver with the orbiting space lab. this will be the first summer launch for the Shenzhou program, forcing mission planners to deal with potential complications due to electrical storms and high temperatures. A recent article by space reporter Craig Covault expresses concern that the accelerated pace of China’s recent launch schedule poses an increased risk of failure for the upcoming mission. China has yet to experience a serious setback in its human spaceflight program. The history of the program suggests mission planners will take exceptional measures to insure that record of success continues.